Who is going to fight for you and your family after your accident? At the New Orleans Weiser Law Firm, we fight to protect serious personal injury victims of accidents or wrongful death. Whether you have suffered a catastrophic injury as the result of a motor vehicle accident or you have lost a loved one and want to file a wrongful death claim or lawsuit, we can help you review your options and protect you rights. 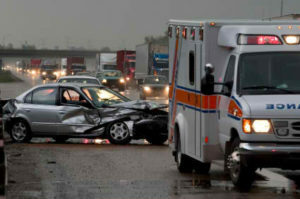 Car Accidents: If you have been seriously hurt or you have an uninsured or underinsured motorist claims, we can help. RTA Bus and St. Car Accidents: We handle claims involving all New Orleans Area forms of public transportation and JET in Jefferson Parish. Bicycle and Pedestrian Accidents: Pedestrians and bike riders have rights on the road too. Make sure you protect yours your rights too. Truck and Large Vehicle Accidents: Accidents involving commercial trucks and other vehicles often result in catastrophic and fatal injuries. We fight for the victim’s right to seek the best recovery possible. Dangerous and defective product liability: If a dangerous, defective or poorly labeled product has lead to serious injury, we can help you recover from your injury. Business and Commercial Premises Liability: If you have been injured on someone else’s property as a result of their negligence, you can file a claim for your injury. Medical Malpractice: If the negligence of a doctor or other healthcare professional has led to your injuries, you may have been the victim of medical malpractice. Elder Abuse: From nursing home negligence to hospital abuse, we help families look after elderly people who cannot look out for themselves. From wrongful death to tragic injury claims, we have the experience and resources to handle the most complex cases. We represent clients in claims against all types of Insurance Company Claims, including but not limited to: Allstate, Statefarm, Progressive, Geico, Liberty, ABC, Safeauto, The General, AFLAC, Metlife, New York Life, and Louisiana Citizens Insurance. Do not wait to meet with an experienced attorney who can help you assess your claim and explore your options. Located in Midcity New Orleans, we are ready to meet you in person and make sure you get the compensation you deserve. Call us at 504-358-2273 or contact us online today to schedule a consultation.